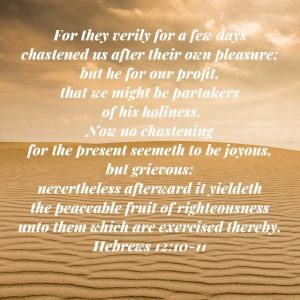 For they verily for a few days chastened us after their own pleasure; but he for our profit, that we might be partakers of his holiness. 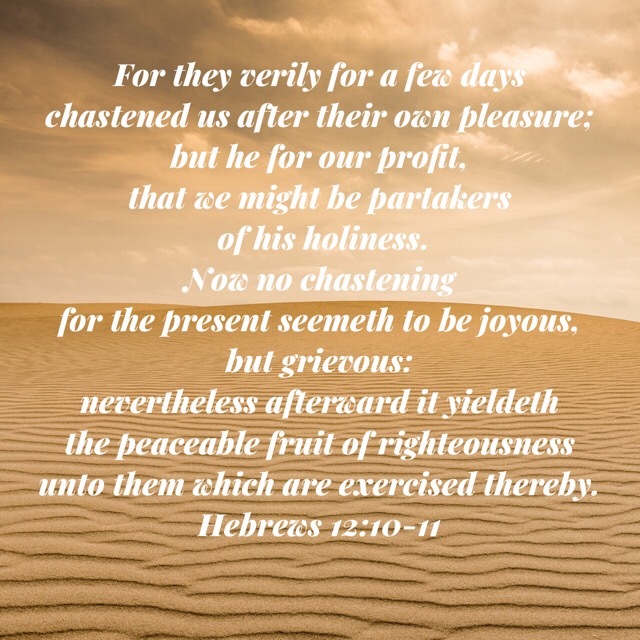 Now no chastening for the present seemeth to be joyous, but grievous: nevertheless afterward it yieldeth the peaceable fruit of righteousness unto them which are exercised thereby. 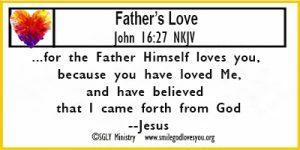 Believers, Father God loves us. We are blessed We are loved. Let us give thanks and rejoice! Memorize this verse, repeat it to yourself whenever you feel no one loves you or cares for you and share it with others who need to hear it also. Blessings to you daily as you live in the Father’s Love. “But God,”… there are quite a few scripture verses that begin with “But God” what they are showing us is that no matter what the situation God can bring good out of it. 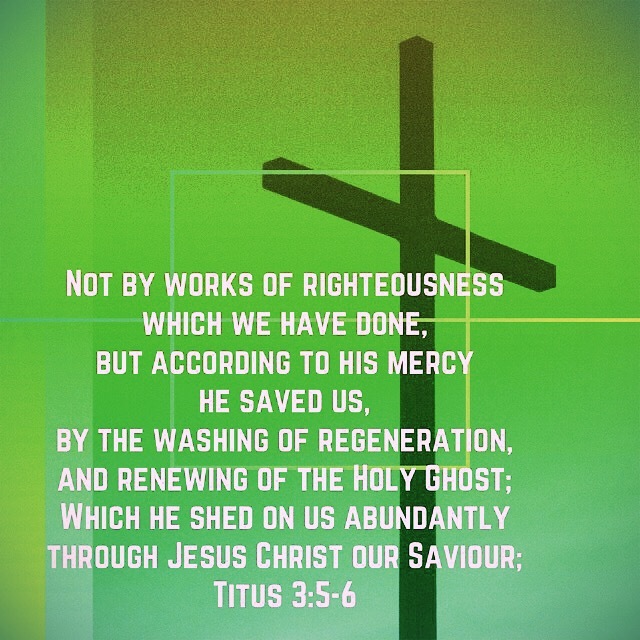 In this week’s verse we see His rich mercy and great saving love for us even when we were dead in our sins, how wonderful is that love He had and still has towards us! Memorize this week’s verse, believe it, and live everyday secure in His love and share it with others. 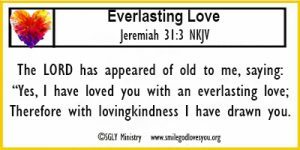 Everlasting Love, what a wonderful thing that is. 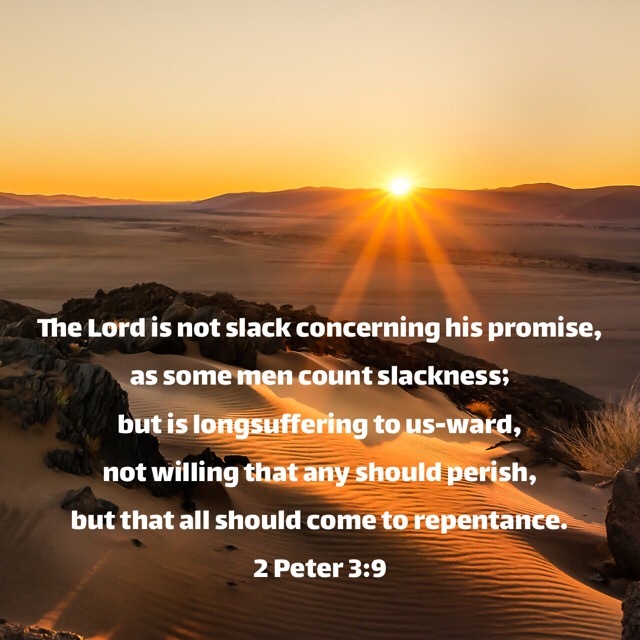 In this world we can only hope for true lasting love in our lives as long as we live here on earth, but the Lord is saying that His love for us is ever lasting, forever and ever, on this earth and beyond in heaven, always, without end. It is almost incomprehensible for us to understand what that entails because God’s love is not like human love. God’s love is so much better! Memorize this verse, ponder it and live everyday giving thanks for His love for you! God’s Love is what great love is. 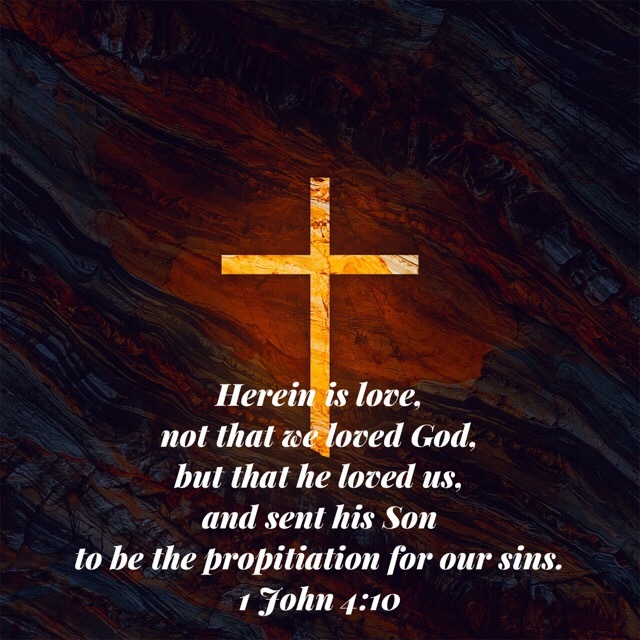 His love for us is so great that He sent His Son to die for for the sins of mankind in order that mankind might be able to be reconciled to Him and have a close, personal relationship as they once had in the Garden of Eden. 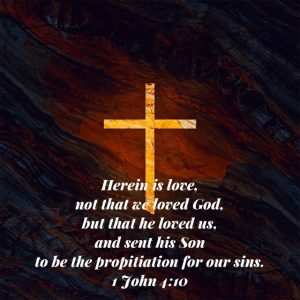 Propitiation means: atonement, appeasement, reconciliation, conciliation, payment, recompense, remedy, remission, retribution, etc. etc.–which means Christ’s death was the payment for our sins, and not for ours only, but also for sins of the whole world. 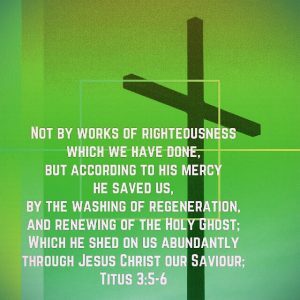 Those who choose to believe this and accept Christ as their Savior are cleansed and forgiven for their sins because of Christ’s propitiation, those who do not, who reject Christ as the atonement, will die in their sins–there is no other way that mankind can be set free from sin, otherwise if there was, why would God have sent His only Son to suffer and die for sin? It is a choice we all have to make, and those of us who have chosen to believe and receive are most blessed to have that close personal relationship with God the Father, Jesus Christ our Lord and Savior, and the Holy Spirit who resides within us. Amen!!?? Memorize this verse and think upon it daily. 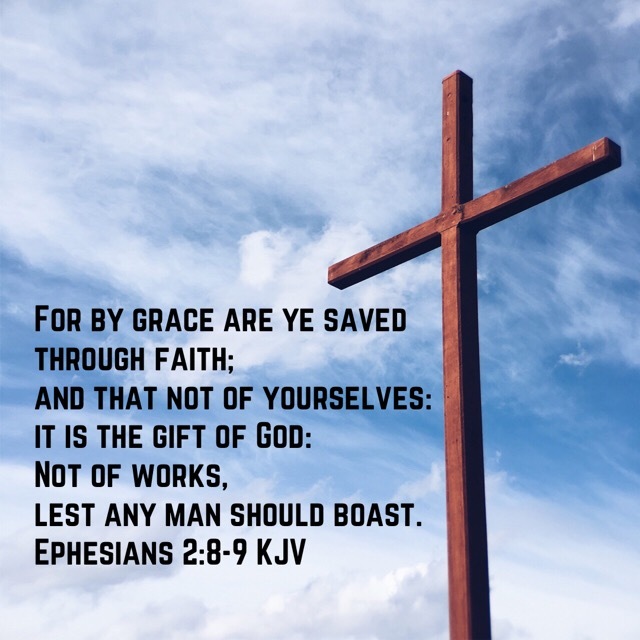 Rejoice in God’s great love, give thanks for Christ’s sacrifice on the cross, and share this verse with others you know who do not yet know about the great love of God. The LORD our God is always with us, therefore we are never alone. He is Mighty, He will save us from sin, self, satan, therefore we need not fear. He rejoices over us, He is glad for us, therefore we should be glad. He calms and comforts us with His love, therefore we should not worry. He rejoices and sings over us, therefore we should not be sad. 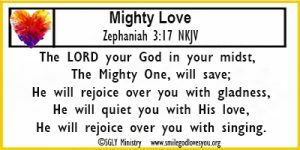 The LORD, Mighty God of the Universe, Loves Us! Let’s rejoice in that thought and give thanks and praise everyday for His Love! Memorize this verse and share with others you know who need to hear it. 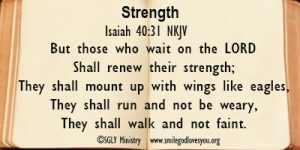 If you would like you may print out this verse to post it someplace as a daily reminder or as a resource to share with others. Just click on the image below. 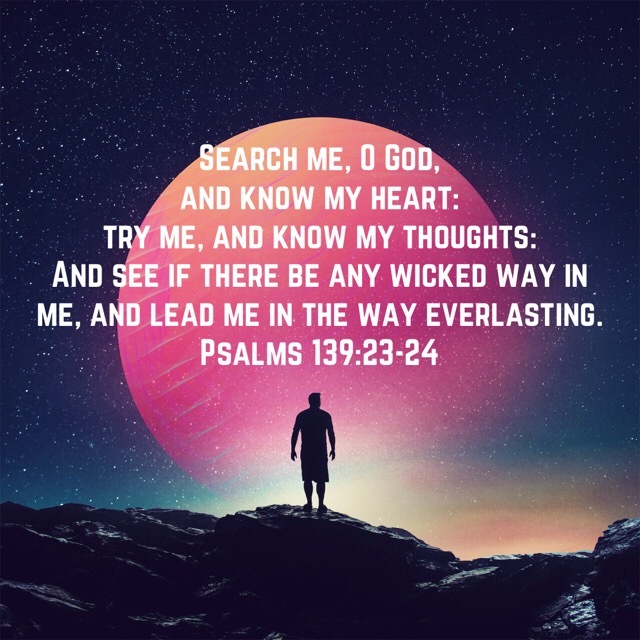 The LORD’s love is not like any earthly love that we may have known. Sometimes we may have known people who said they loved us and then they left us or hurt us or changed their minds. 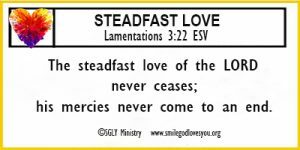 But the LORD”s love is not like that, His love is sure, never-failing and constant for that’s what steadfast means. The LORD’s love is unwavering, it is faithful, it doesn’t change. No one will ever love us like the LORD loves us, we can always count on His love no matter what. And every day His mercies are new, they never end. As long as we live, we will be able to say with surety that the LORD loves us and will always show us His mercy. Memorize this verse and refer to it often, believe it in your mind and heart, and know that you always have someone who loves you intensely! 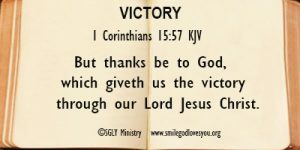 We can endure to the end if we keep in mind that we believers already have the victory in Christ! Memorize this week’s verse and keep it in your mind daily! Also, consider all these verses which tell us that we are victorious in Christ! Maybe you might want to memorize some of them also! 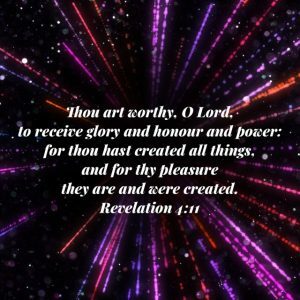 Thine, O LORD, is the greatness, and the power, and the glory, and the victory, and the majesty: for all that is in the heaven and in the earth is thine; thine is the kingdom, O LORD, and thou art exalted as head above all. 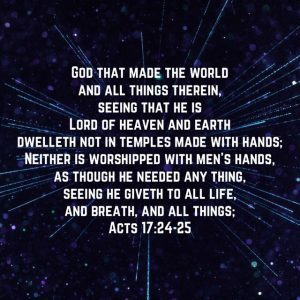 If you would like to Print Out this Week’s Memory Verse to post someplace to help you memorize it, just click on the Memory Verse Card below. Be Blessed and Stand Firm in Your Faith! 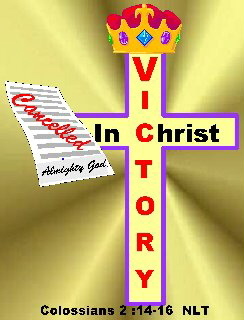 For the Victory is Yours in Christ! 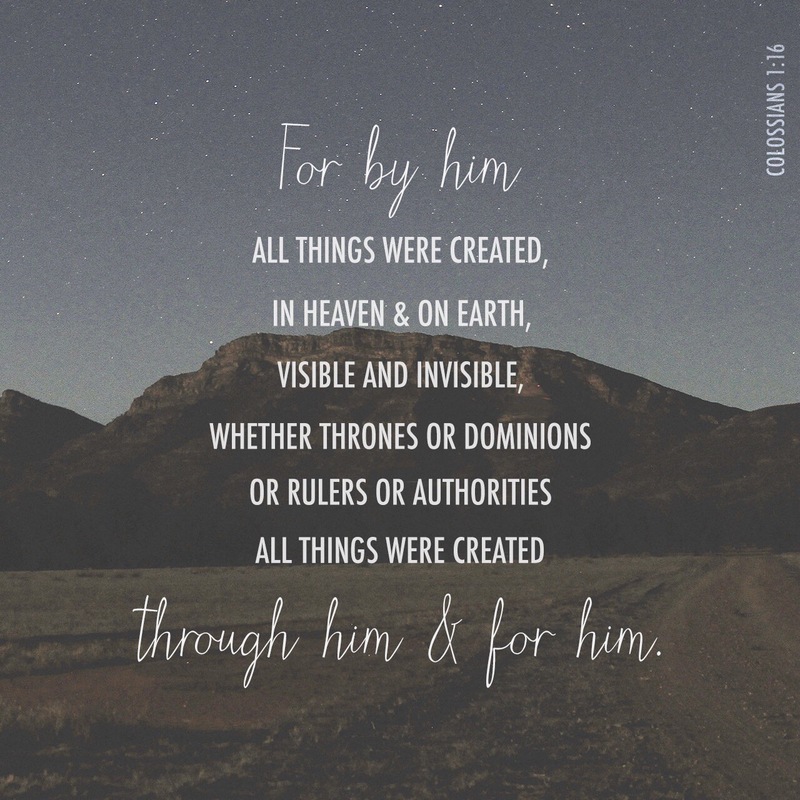 Jesus came into this world with a purpose. 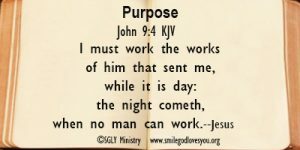 He knew His purpose and He was constantly doing the work daily that would accomplish that purpose. 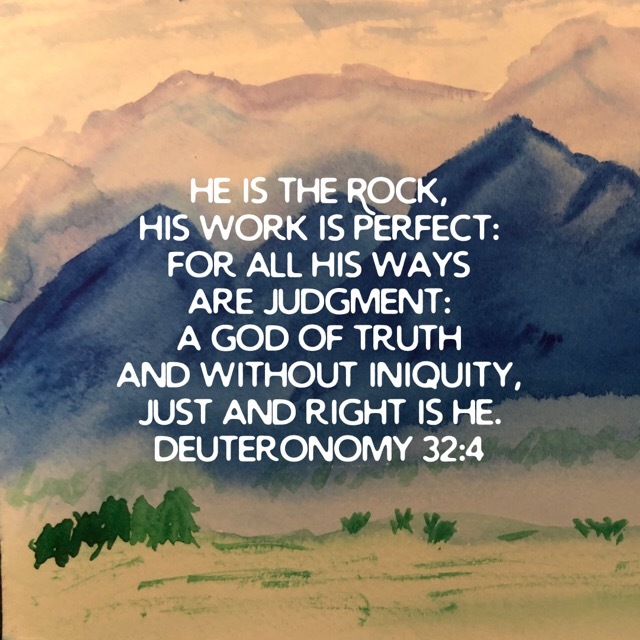 He knew He had only so much time here on earth to do the works His Father had told Him to do and He didn’t let anything stop Him from accomplishing His purpose. Jesus words should ring in our ears daily, they should be a constant reminder to us to be about the work God has called us to do for Him. This work is not to obtain salvation, for if we have believed and received Christ as our Savior then we already have salvation. This is work that God has prepared for us to do to bring Him glory. If you don’t know what works God has called you to do, then pray and ask Him. He will surely let you know so that you can be about doing them daily. 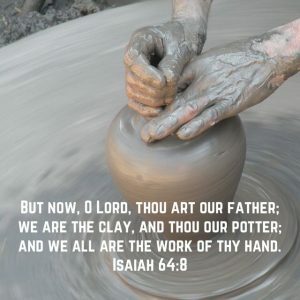 For we all only have so much time to do the works God has prepared for us to do. 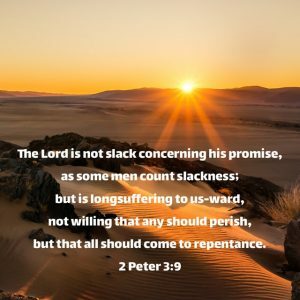 Someday our lives on earth will be over and there will not be any more opportunity for us to do any works on this earth and since we don’t know when that will be, we should be diligently doing the works God has called us to do while we still have time. God bless you abundantly as you fulfill your purpose and glorify His name. This week we are memorizing the words of Christ regarding the end times. He is telling us what to look for. He is warning us ahead of time so we will know what to expect. 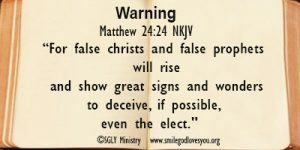 In other words, He is saying we have been warned, He has told us ahead of time what deceptions will be coming forth so that we can prepare ourselves. Memorize this verse as a reminder to yourself so when you see or hear these things happening, so you won’t be deceived.. This verse has always been my go to verse. I guess it could be called my Life Verse. Long ago I memorized this verse and many times since it has come into my mind when I have been in trouble or need. Many times I have spoken it out loud to myself or to God in troubling times, and many times it has proved true, as God was always my refuge and my strength. He indeed was a very present help in trouble. He has never failed me and I trust He never will. 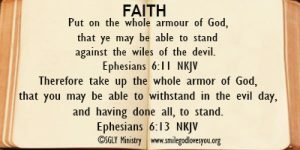 Believers, every day we need to put on the Armor of God and stay alert, watchful, and cautious. We need to make sure not to let our guard down or get too comfortable, because our enemy, the devil, is always walking about, “like a roaring lion” which means that he see us in his territory doing our good works and he is trying to frighten us, let us know he’s around, hoping he will cause us to fear and run, so that we stop doing the good works God has prepared for us to do. That is why God says to wear His Armor and to stand firm, remain calm, and pray. 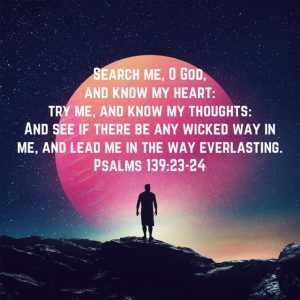 Believers, every day if we are actively serving God and walking in His ways and doing His works, we are going to be pursued by our enemy, who wants to destroy us in whatever way he can. So, memorize this week’s verse, and be sure to do what it says every day of your life. 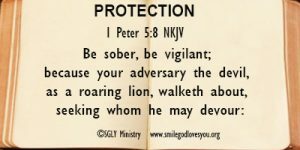 For in these last days we need God’s protection to keep ourselves safe from the devil. In John chapter 10 Jesus was telling the people who He was. He said He was the Door, the Good Shepherd, the Christ and even said He was God (John 10:30). He said He came into the world to bring life to His sheep, a more abundant life. He also told them who He wasn’t. He spoke about the thief who is just the opposite of Him. 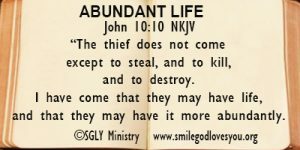 The thief is often thought to be satan, but it could also be the world or the flesh, anything that steals, kills and destroys. thief steal our joy, kill our witness or destroy our faith. Let’s read John 10:10 this week and give thanks that we are His sheep who know His voice and look forward to His soon return. just click on the Memory Verse Card below. 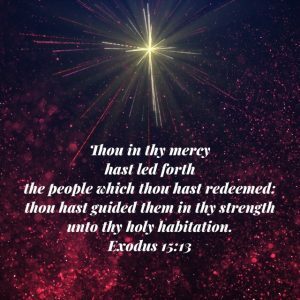 In Romans chapter 12, Paul is beseeching the brethren to offer themselves fully to the service of God, meaning he is earnestly telling the believers in Christ that this is something they should be doing considering the mercy God has shown them by sending His Son Jesus to bring them the gift of salvation. He is telling them basically to serve God daily with their whole heart, mind, soul and body, being joyful in the hope of Christ’s return, not living for the present world but renewing their minds daily with the word of God. Living daily in the will of God, not their own will. They should live as one body with one another, having one mind in Christ, patient in their afflictions and faithful in prayer. This is still how we believers should be living daily. We should be living out the words in Romans chapter 12. 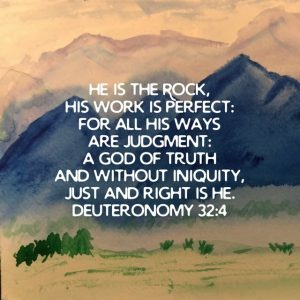 This is how we can serve God, stand firm in our faith, and endure these end time trials. 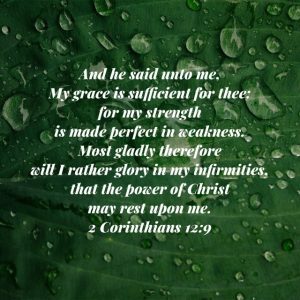 There are many great verses in this chapter we could memorize, but I thought Romans 12:12 was kind of a short summary and it would be easy for us to memorize. It is a good reminder for us how we should be living daily. 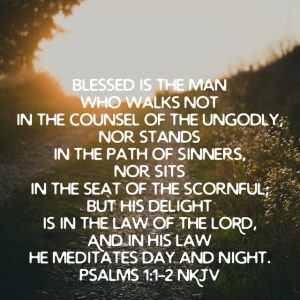 If we not only memorize it, but also do it daily, we will be serving God as we build ourselves up in faith and endurance for these end times that we are living in. 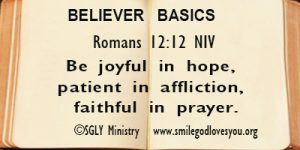 I would suggest that you also take the time to read the whole chapter of Romans 12 for there are many good things that Paul is beseeching the brethren (which is us as well) to do, and we can certainly benefit from it. 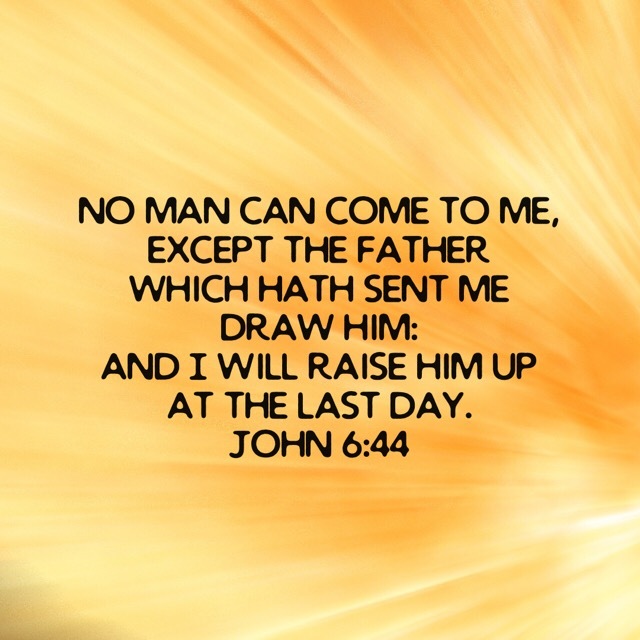 Jesus said in Matthew Chapter 24 that the end times would be difficult and troubling. 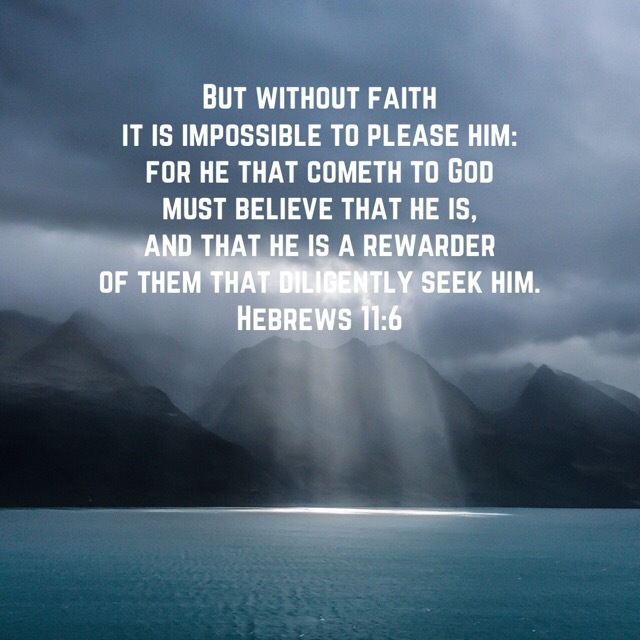 He said that believers would need endurance and faith in order to get through each day. Therefore, we need to build ourselves up spiritually in order that we might be able to stand strong and not waver in our faith, now and in the days to come. 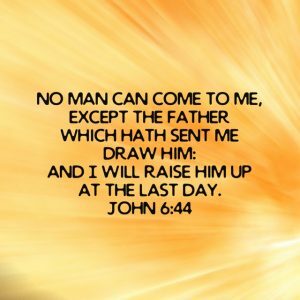 Jesus said He would never leave us, nor forsake us, so we can be sure that He will always be near to help us and strengthen us, but we need to do all we can to ready ourselves to face these end time days so that we can continue doing God’s will and following our calling everyday until He calls us home. I think right now we are in the end times and therefore we need to fortify our minds with scripture as much as possible. We need to memorize verses which will help us in our times of need so that our faith will not fail. We need to stay spiritually strong to fight off the enemy”s attacks against our minds. We need to stand firm in faith and share the gospel whenever and wherever we can. 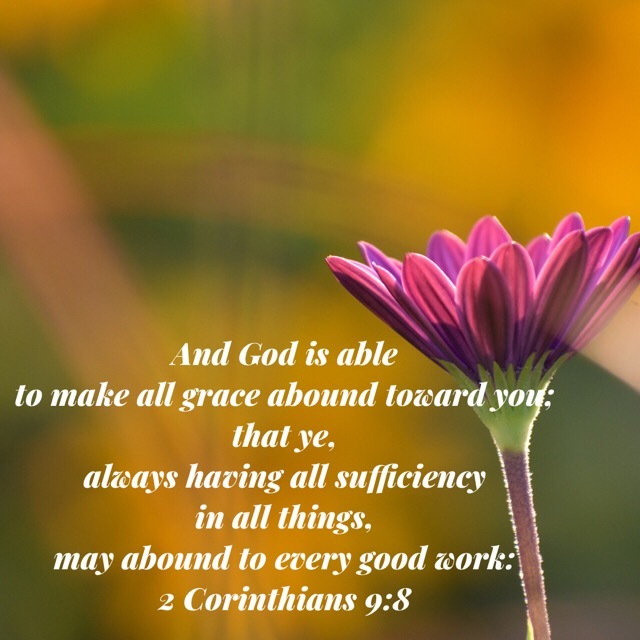 Therefore, we need to be equipped. Our minds need to be filled with God’s word. 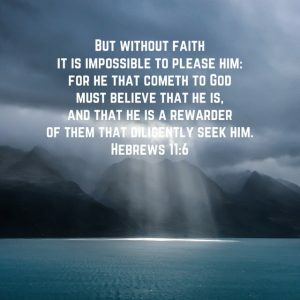 Our hearts need to be full of faith. We need to prepare ourselves daily in order to endure to the end. 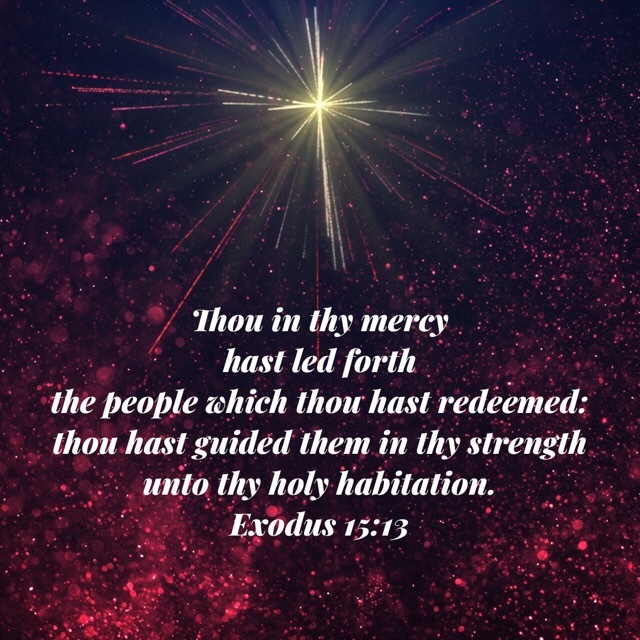 This verse tells us that we who fear the LORD, believers who honor Him, revere Him, respect Him, are in awe of Him, are protected night and day. We have an angel camping right near us who is watching over us at all times to protect us and keep us safe. This is a comforting verse for us to memorize and one which will strengthen us and help us daily in these disturbing days. We can be confident that we are never alone as we go about doing the Lord’s will. 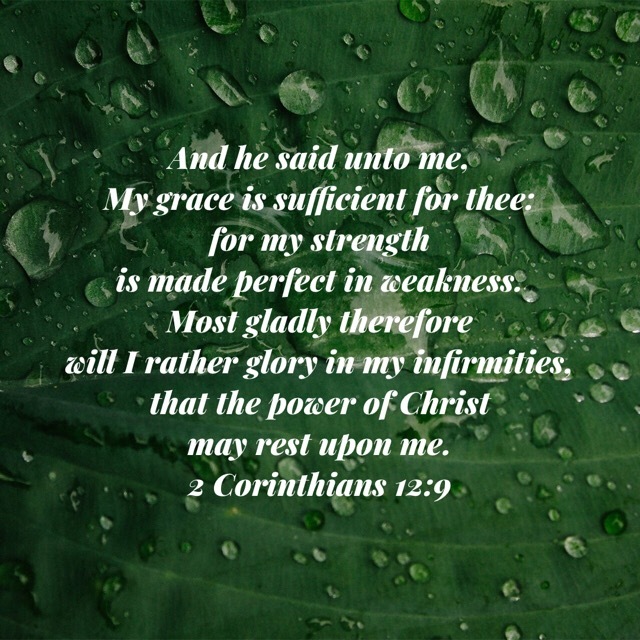 Therefore, memorize this verse to keep yourself strong in the faith daily. 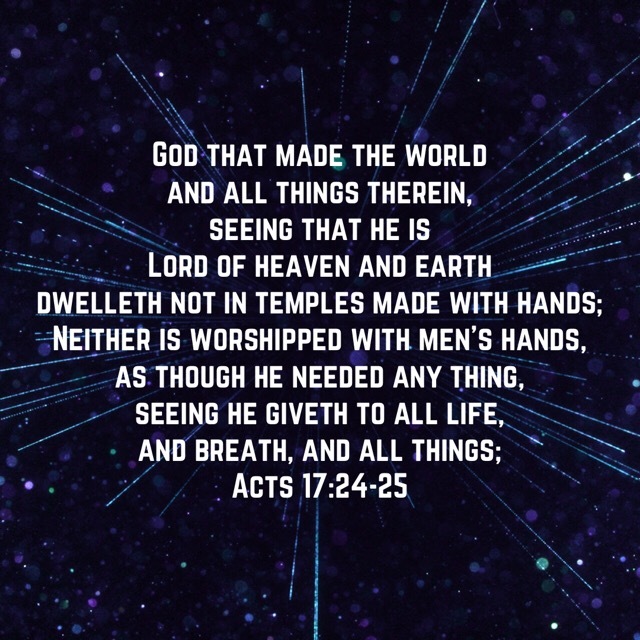 To make your memorization easier, you might want print out this verse and put it someplace where you will see it daily in order to help you keep it in your mind and heart. Just click on the Memory Verse Card below to print. 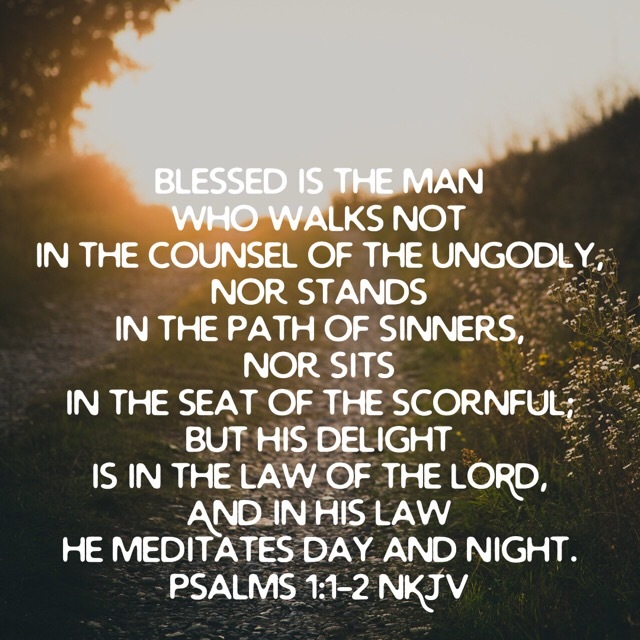 God’s Blessings to you daily.